Are you prepared if you’re ever in a car accident? Prepared doesn’t only mean having car insurance. What if an accident were to happen in the middle of a remote area? In that case, you need to have an emergency kit, so you can manage until help arrives. Read on to learn what a car accident chiropractor in Dallas suggests you have on hand to be safe. The answer to this question is simple: in this day and age, people spend a lot of time away from home. Whether driving to work or school, grocery shopping, or getting away for the weekend, time away from home means more time in our cars. For this reason it is critically important to have emergency supplies with you when you travel short or long distance. The first thing to include in your car’s emergency kit is a first aid kit that includes bandages, tape, gauze, antibiotic ointment and tourniquets. Check the contents to make sure nothing has expired or run out. If so, then restock as soon as possible. Every smartphone has a flashlight, but on a dark road you need a larger one. But don’t only have a flashlight in your emergency kit. Be sure to include a set of extra batteries, too. We’ve all seen a video of a car fire. Most people don’t have a fire extinguisher in their car, but it’s a good idea. Car fires can quickly escalate, and an extinguisher can help put the fire out when it’s still small. Keep jumper cables in your trunk. Knowing how to use them is best, but at least have them on hand to lend to someone else if you need a jump. It’s not a bad idea to have a change of clothes in your car. If you find yourself in an accident while it’s pouring rain, then at least you’ll have a dry set of clothes to change into when you leave the scene. One accident is enough—you don’t want to be involved in another one because a passing driver couldn’t see your car. Invest in a set of flares and emergency triangles to place around your car, so other drivers can see you from a distance. There are special tools that can be used to break a car window if you are ever submerged in water or your door and windows won’t open. This type of tool should be stored in the glove compartment, because having one within easy reach could save your life. Hopefully, you won’t be in an accident, and your emergency kit will go unused. But like life insurance, it’s good to have—just in case. And for auto accident treatment in Dallas, contact a chiropractor. 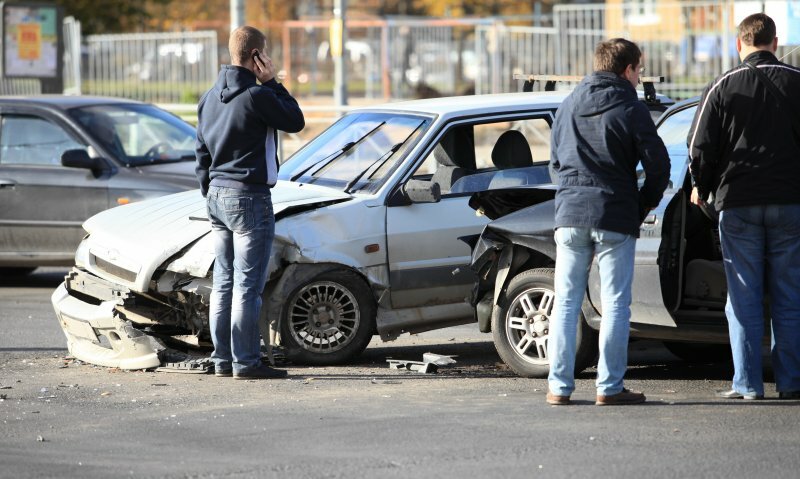 Dr. Zinovy Chukhman is the chiropractor in Dallas who is trained and experienced in helping people recover from injuries sustained in car accidents. If you need relief, call the office today to schedule an appointment.